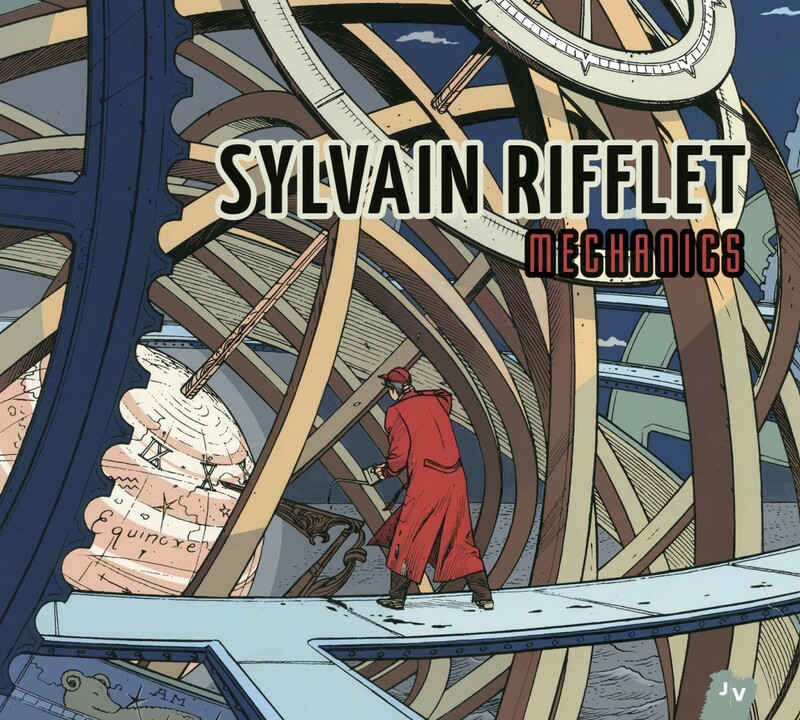 Mechanics is a music album by Sylvain Rifflet. Late 19th and early 20th century poetry and literature generally viewed machines and the industrial world as enemies of art. Other, more sympathetic creators – such as Zola or Pasolini – were dissatisfied with such dehumanisation and saw machines as intimately bound up with mankind. Then science fiction imagined a futurist world, inspired by artists and writers like Jules Verne or HG Wells, and machinery revealed its soul. 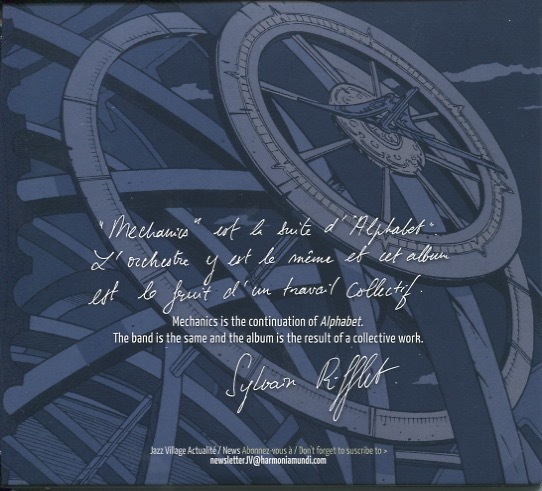 So it is no accident that Sylvain Rifflet has chosen to illustrate his album Mechanics with a drawing by François Schuiten, retro-futurist writer and illustrator, who loves skies full of spherical flying objects and worlds imagined out of time, inspired by the flavours of early science fiction. It is a metallic jumble of astronomical rings where the character in a red coat – a deliberately vintage being from a future world – illustrates a musical galaxy made up of wood and metal instruments, musical boxes and “home-made” items, evoking the well-oiled “little mechanisms”, complex constructions and carefully arranged disorder reminiscent of Maurits Cornelis Escher and his impossible constructions. Here, music is conceived of as utopia, a metaphorical vision of an imagined future. The universe is a fantasy, dream-like or visionary, as if to reinvent jazz in the manner of Lukas Vojir 1). 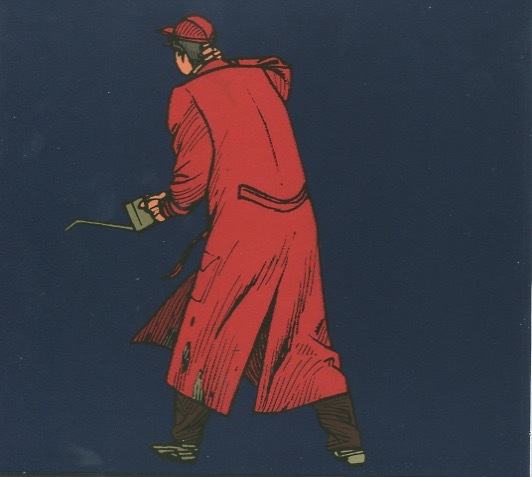 The artwork is by François Schuiten. The cd case has three detail images besides the cover. 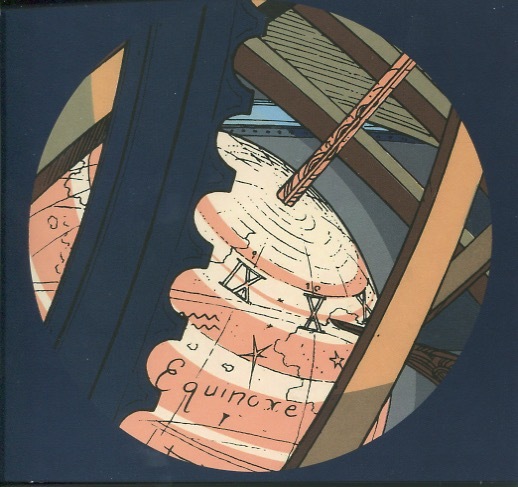 The cd includes a little poster of the front cover.